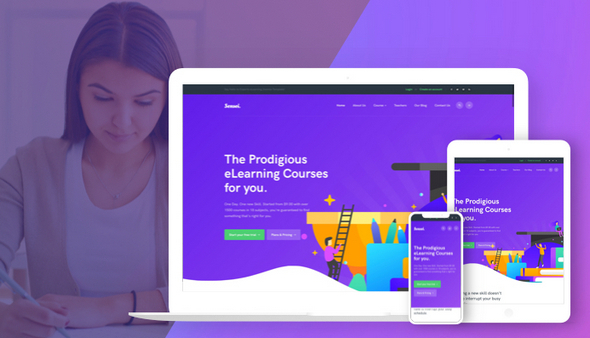 JA Sensei is pro Joomla template for education, online courses with LMS based on the best Joomla LMS extension - Guru with powerful features: Courses: Create unlimited online courses, paid and free courses. Table of content: Create a Table of Content for your courses using our easy drag & drop feature. Lessons: Add lessons to your learning modules with media, text, files, links and more. Teacher and student management system. Supports popular payment gateways: PayPal, Stripe, Authorize.net, VeriTrans and DotPay. 3 different friendly user interfaces for Admin, Teacher and Student. And so many advanced features: certification, quizzes, exams, forum & comments, gradual release of lessons and more.